If you\’ve been contemplating expanding your webhosting business, you can leverage presence on the web to extract the best out of your venture. You\’ll need a potent WordPress template for webhosting services to achieve this purpose. WebHosting is among the more popular and dependable WP templates for webhosting purposes. Installing the theme is super easy and you just need to execute a few clicks to be up and away. The theme gives you a dummy website of sorts where all you\’ve got to do is update and edit information, or remove the irrelevant blocks with simple clicks. You can add listings and put in comprehensive product descriptions with WebHosting theme. You can create the home page of your choice using all the customization tools provided by this theme. Your homepage can be designed in a manner so that viewers get as much important information as possible without the page looking chaotic. 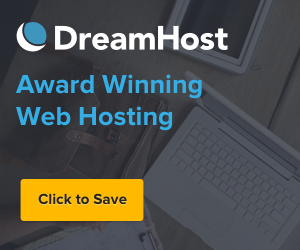 Being a dedicated template for web hosting services, this package allows you to create web hosting plan pages with Buy Now links, thus reducing the gap between advertisement and sales. The fact that you get the services of a full featured blog along with the theme further lends more value to the overall package. The blog can serve you well in interacting with customers and spreading across the latest news and updates. Short codes provide you a lot of convenience while creating stunning web pages to present to your customers. All you\’ve got to do is to key in the short code and enjoy the ease with which the desired actions get executed. WebHosting is widget ready and supports Gravatar and threaded comments. It works seamlessly with all major breeds of web browsers. You can treat yourself to a demo of the theme in action before making the decision to purchase.